Printer Repairs & Printer Service Provided by A Local Sunshine Coast Copier & Printer Repair Team! Your local Sunshine Coast printer repairs & copier service team. providing printer service & printer repairs for all leading makes & models of printers and copiers. Furthermore we service copiers, scanners, Hp printer repairs & Canon & Brother printer repairs. Our authorised printer repair technicians service printer equipment all over the Coast including, Maroochydore, Noosa, Caloundra, Kawana & all other Coast, Hinterland & Gympie Regions. In need of printer repairs? Our printer service department are trained specialists for HP printer repairs, Canon printer repairs, Brother printer repairs, Samsung & Kyocera printer repairs just to name a few. Whereas m ost other printer service companies focus on one or two brands we are the true printer & copier service specialists with the largest printer support team on the Coast. We can arrange express on-site printer repairs from $89+gst, with no call out fee. Our printer service technicians carry a large range of printer spare parts and consumables including inks, toners & printer & copier service spare parts. With the largest HP printer repairs support team for printer repairs on The Sunshine Coast, we can get your printer fixed quickly in your home or office at the lowest price. Whether you need your ink jet printer repaired for your home printing needs or the kids caused a paper jam, maybe your business copier needs a general service. Laser Printers have the printer expertise to ensure your printer service is carried out to the best service standard available. We can offer printer support for all your service requirements so call the printer repair experts now. We supply all leading brands of printers & copiers throughout the Sunshine Coast & beyond. 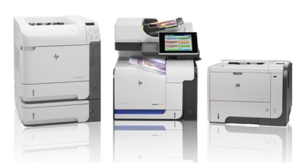 Our printer sales department can offer the best printer options for your next printer or copier purchase. Furthermore we provide the very best prices for copier & printer rental, hire and can also supply agreements that include all service and toner ensuring you have one simply monthly bill with no surprises. To receive an online quote for any of our printer sales, copier rental and printer hire service please click here or use our Sunshine Coast online copier & printer quote page for all printer & copier sales queries for a fast online printer quotes. Whether you simply require general HP printer repairs, Brother printer maintenance or printer supplies you can call one of our local printer service specialists and get no-obligation advice and Samsung printer service advice & Ricoh copier service repair quotes. 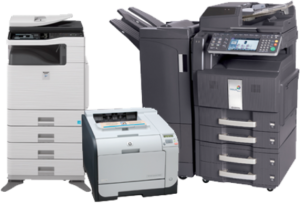 We also offer printer & copier installations and network printer & Canon photocopier configuration & setup. Call us now on (07) 5327 3472. We provide printer repairs & printer service for all leading printers & copiers all over the Sunshine Coast from all printer brands. Call (07) 5327 3472 to speak with a Printer Repair Specialist here on the Coast Now!